Multi Flourite Massage Wand energizes our aura and chakras. It keeps you energetic and dissipates emotional worries. 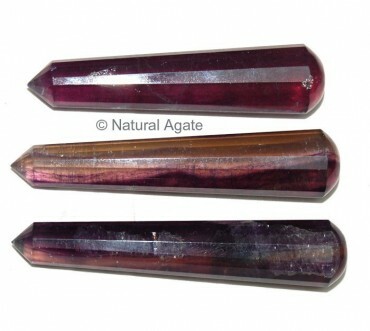 This wand is available on Natural Agate and is 2-4inches in length.